Fujifilm's newest medium format bodies beat everyone else on price. But will they be good enough to convince us to buy them? At least one of them will be. To start, Fujifilm's GFX 50R is not a replacement for the current GFX 50S, but instead complements it. You can take "R" to essentially mean "rangefinder," as this body shaves an inch off of the 50S' thickness and drops the height down a bit for a more compact, rangefinder-style design. 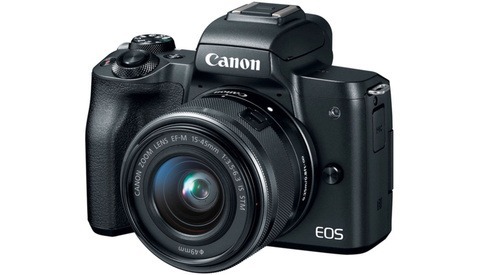 Overall, this looks like a chunky X-E3, which isn't a bad form factor for a medium format camera. In fact, it's just about the smallest ever. Both good and bad, new 50R features the same sensor and autofocus system as the 50S. While that's still a nice, big 50 MP sensor, it's a few years old now and could easily have been updated to something newer that really outshines today's 50 MP full-frame cameras. 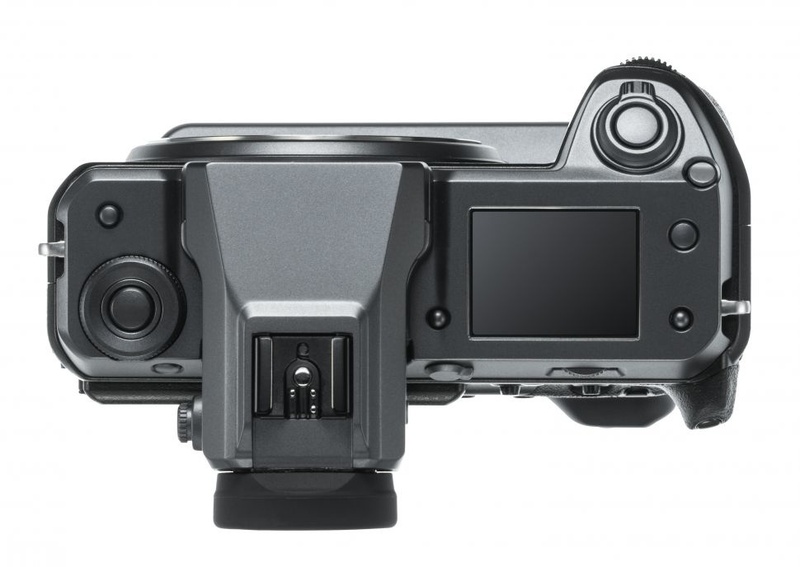 But bodies like the D850 will likely be more than able to hold a candle to this sensor with the advancements made in sensor technology over the last few years. Moreover, that contrast-detection autofocus system is not stellar. Everything about this rangefinder-style body screams "medium format documentary and street photography" except for the lack of an autofocus system that would actually make it just that. This leaves the most exciting thing about the GFX 50R: price. At $4,500, the 50R will be the most affordable medium format camera to date and comes in at more than $1,000 under the GFX 50S. Other nice features include dual SD card slots and a two-direction tilting screen very similar to those in Nikon's latest cameras. 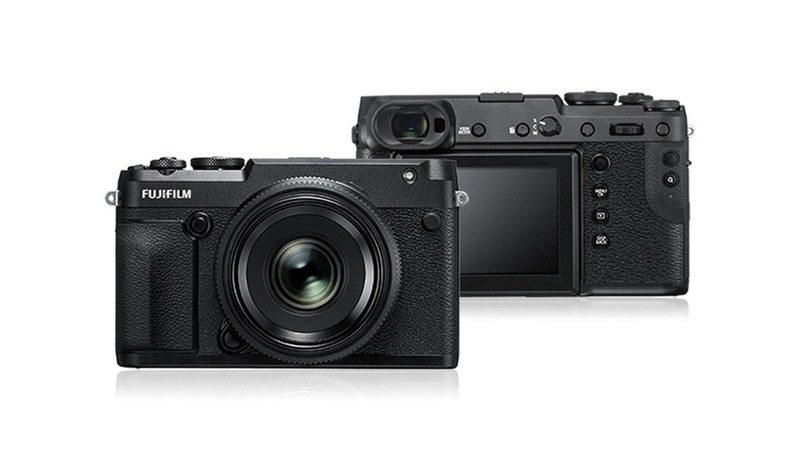 Of all of Fujifilm's announcements today, the GFX 100S has to be the most exciting. While it won't be available until the second half of next year (the GFX 50R will be available this November), this is the medium format camera that will bring it to the masses — or at least to the masses that can afford a $10,000 medium format beast. 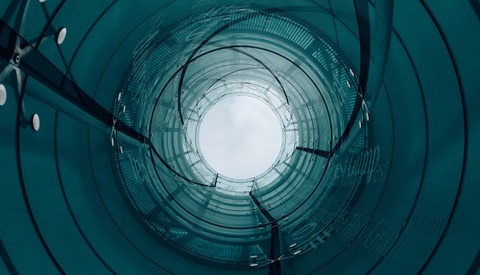 Boasting a 100 MP sensor, this body is going to feature two major enhancements: in-body image stabilization and 100-percent coverage phase-detection autofocus. These should help to produce some of the sharpest 100 MP images we've seen. The only question will be whether or not the glass will hold up, as we've seen the limits of other major manufacturers' lens lineups as they've been forced to release updated, optically improved lenses for today's extremely high-resolution cameras (Fujifilm claims its lenses are built for 100-MP resolution). 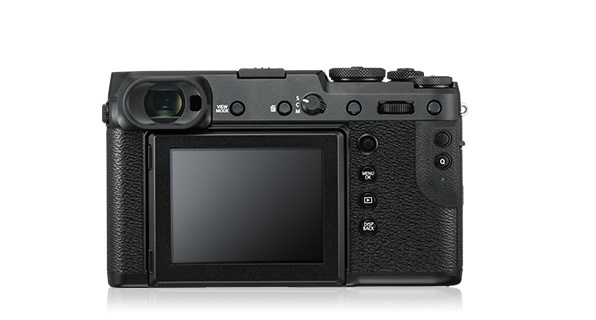 The body of the 100S will be very similar to that of the 50S, but Fujifilm has added a built-in vertical grip for improved handling. If this comes together in time and with fully developed features as planned, that $10,000 price point combined with phase detection autofocus should be enough to really bring medium format photography to a new class of photographers and wealthy hobbyists. For comparison, the most affordable 100 MP body and back combination is currently the Hasselblad H6D-100c for $32,995. The Fujifilm GFX lens lineup will also be updated with 50mm f/3.5 pancake, 45-100mm f/4 OIS, and 100-200mm f/5.6 OIS lenses next year, which will bring the total lineup to ten lenses. All of Fujifilm's GFX lenses are said to be made for up to 100-megapixel resolutions. the 100s looks cool. from a pro perspective, when you need these medium format behemons your are working on sets where you going to use flash and have no need for ibis. it is more a nice to have feature for the rich amateurs, dentists / laywers. for pros would be more interesting to get good fast portrait lenses on gfx mount and fast x-sync and build in airremote/skyport/godox flash triggering. 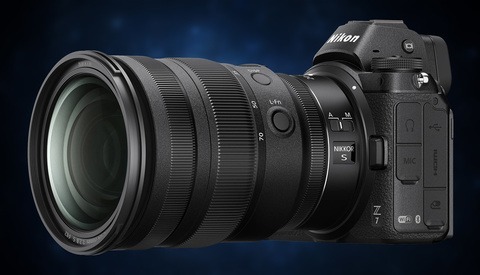 "Good fast portrait lens": There is the 110mm f2. FF MF or Crop MF? Too lazy to seach, but assuming it's a crop. Less then 645 Film ( 56 mm × 41.5 mm) or there about. It refers to the good ol' 120 film formats. Like the 645, 6x6, 6x7, 6x8, and 6x9. 645 is the smallest frame and measures 56mm x 41,5mm. The Hasselblad X1D has a 43,8mm x 32,9mm sensor, which is bigger than a full frame 35mm sensor, but quite a lot smaller than the film standards. The Phase One IQ4 sensor steps up at 53,4mm x 40mm, so closer to the 645 format. Yeah the 100 MP did seem dense for how small I thought their sensors were. Can their lens mount and current lenses cover a bigger chip or are they locked in at their current size? You guys are really on the ball today, where are the other big Photokina announcements? Even SLR Lounge was faster than you guys, and they are pretty slow. Also big news is the new Capture One support for Fuji cameras. What's the difference with 50R/50S? As an A7R III owner who has shot with the 50S I can say it's more than just 8 megapixels - it's quite a big step up in overall quality and resolution and the aesthetic of the larger sensor is dramatic - I want one! Have you tried tos hot the same thing with both camera to compare? If you did — may I have a RAWs?